Since its inception GoPro has sold over 10 million wearable cameras, debuting on the public market in 2014 with nearly $1 billion in sales. The brand has marketed itself with an extreme-athletic image giving people the opportunity to self-document themselves while pursuing daring and unique adventures. In a new venture GoPro has teamed up with Jaguar to debut the first sports car with GoPro-embedded technology. The Jaguar F-type is a unique all-aluminum two-seater sports car that has won numerous awards worldwide due to its powerful performance and dynamics. 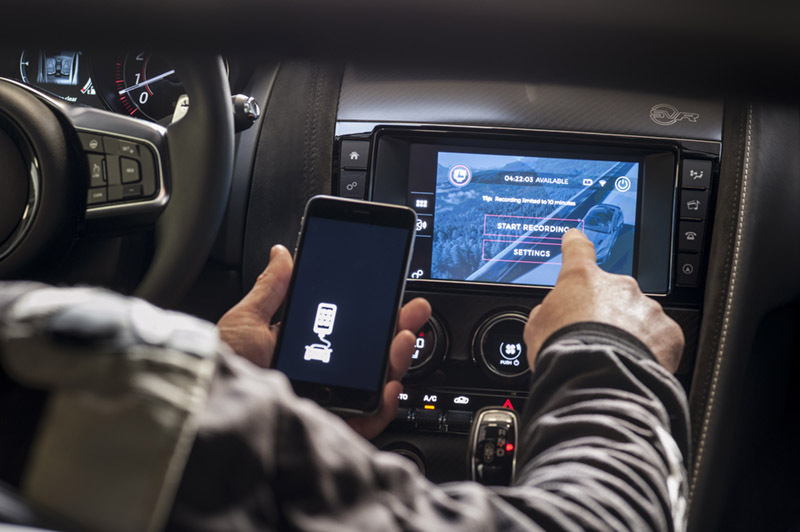 The vehicle offers driver-focused technology and now allows enthusiasts to capture and share their driving experiences using an app called Rerun. The app enables key performance data from the new F-type including speed, throttle position, gear selection, braking force, g-force and steering wheel angle to be capture from the GoPro camera. 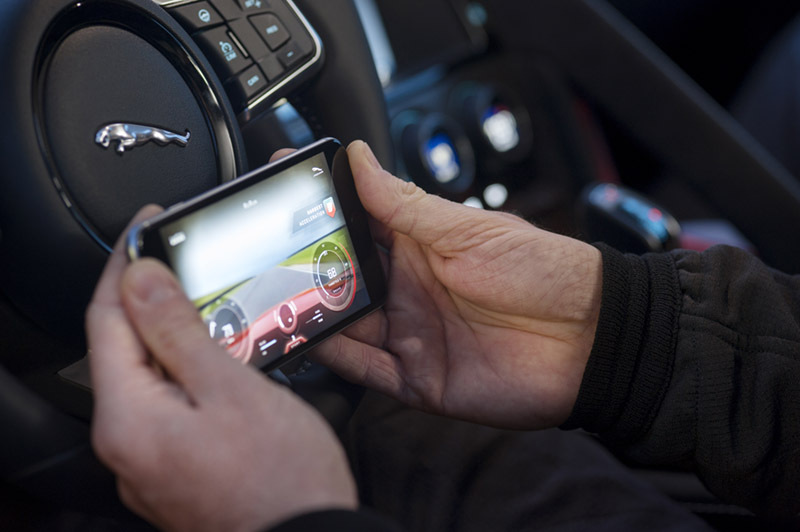 Drivers are able to connect their smartphone to the GoPro through the F-Type’s information system using a USB. The performance data is taken directly from the vehicle’s control panel to the ReRun app. A feature on the app allows you to capture highlights such as peak cornering and braking forces. The app allows you to help F-Type drivers create easy-to-share videos of their driving experience making the experience shareable via social media platforms that can be distributed across the internet. ReRun is able to run on all new F-Type models that have InControl Apps as well as iOS devices, GoPro’s HERO model devices.